Is this the first side of the poncho? Are you knitting with Sueno? I had 80g (nearly a whole skein) left over after completing the poncho. I also have a fistful size ball of yarn. 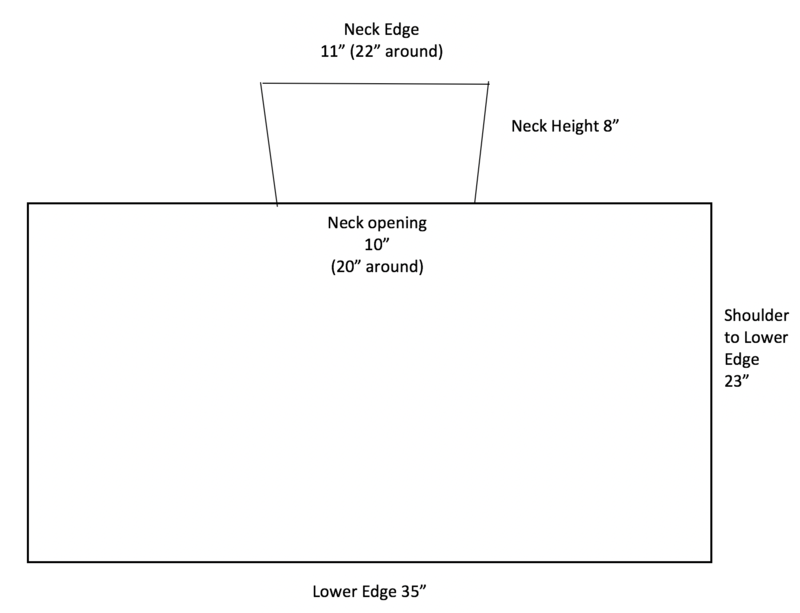 Any thoughts on what I need to do whether to move on to the neck or make this longer, or other thoughts? Sounds like a perfect vacation knit! I am saving all this until we get to Florida in January. Can’t wait to get started when I find yarn at Four Purls. I am learning so much!! This is so fun!! Thank you!!! You are absolutely correct. When you are on Row 5 of the second Diamond repeat then you are on Row 1 of the Dot. I am still on Part One. Thank you for the downloaded chart to help with the counting. All was going great but all of a sudden my chart does not correspond like it should and I have been checking it quite often. I am on my second repeat of the Diamond Pattern and am on row 5. I am on my 5th repeat of the Dot pattern and Row 1. What happened? Everything looks right am I all of a sudden reading the chart wrong? I joined my yarn mid row so as not to disturb the lovely slip stitch edge. 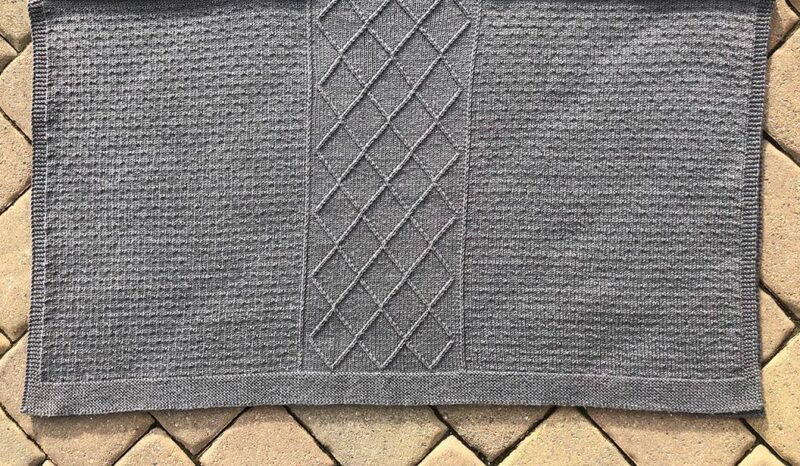 I normally like the Russian Join but I think it is too obvious with this stitch pattern. Keep up the good work! Eureka!! You’ve showed me the light:). I was doing K6 LT K6 LT K6 … too many LT’s!! Thank you so much Michelle. I’ve done all your KAL’s and knew it was operator error. :). Now back on track. Slip 1, k2, k6, LT, k6, k6, LT, k6, k6, LT, k6, k2, slip 1. Try following the above line. If that doesn’t work then I suspect the LT is the culprit. Keep me posted. I want to make sure you are on track! 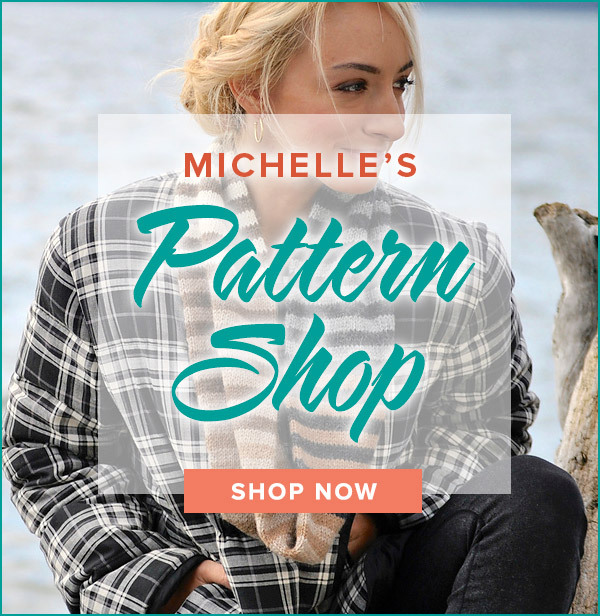 Hi, I love this Poncho pattern. I did have trouble getting the gauge. It was 43″ wide instead of 35″. I ended up using a size smaller needle and taking 4 st off each side. I wanted it to be right. I have not seen anyone`s poncho in the knit along group I joined. We just started Tuesday. Thanks for the clear instructions and videos. Gauge is tricky business. Sorry you have to start over, but you will be happier in the long run. Many thanks, Michelle, for the quick answer. I knitted a gauge with 3.0 mm and 2.5 mm and the 2.5mm was the closer match. So now I start fresh with the 2.5 mm neddle and hope to get closer to the 35 inches for the bottom edge. 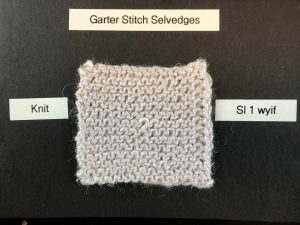 Try swatching with a smaller needle. I wouldn’t rip out your original work. Begin Side One again on this smaller needle and then you can compare it to your first attempt. This would be easier than reworking the math in the poncho. If the smaller needle gets you closer to the stated size then you can rip out your first attempt. Good luck and keep me posted! Thanks for this mystery KAL. I did a swatch for the gauge and had 22 stitches with 3.5 mm needles. Now that I finished the first repeat of the pattern my piece is 40 inches wide and I counted 20 stitches per 4 inch. Also I have used about 80% of my first skein. 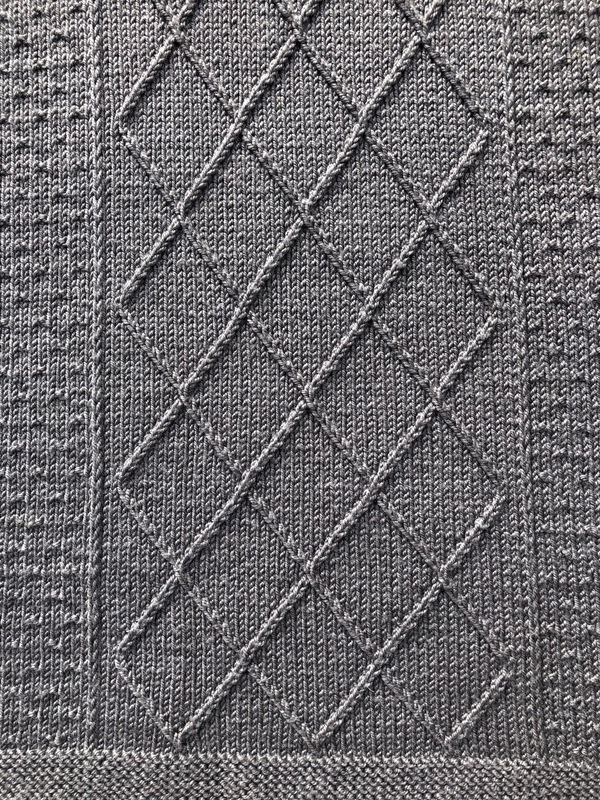 Looks like I need to cast on 24 stitches less (12 per dot pattern) to get to the 35 inches for the lower edge and hope to get it finished with the eight skeins. This is my very first KAL, and once I got the details worked out, this is my very favorite project. Ever! I’m glad I took extra time to read all the way through all the hints and videos because that was a huge help. I’m loving this, and I’m excited to see the finished product. Thank you for walking us through step by easy step! When I said I made 13 scarfs with the Oh yarn I should have made it clear that the scarfs were from the KAL that we did last Oct. Loved that pattern and the buttons were beautiful. Is the extra stitch right next to the slipped stitch? 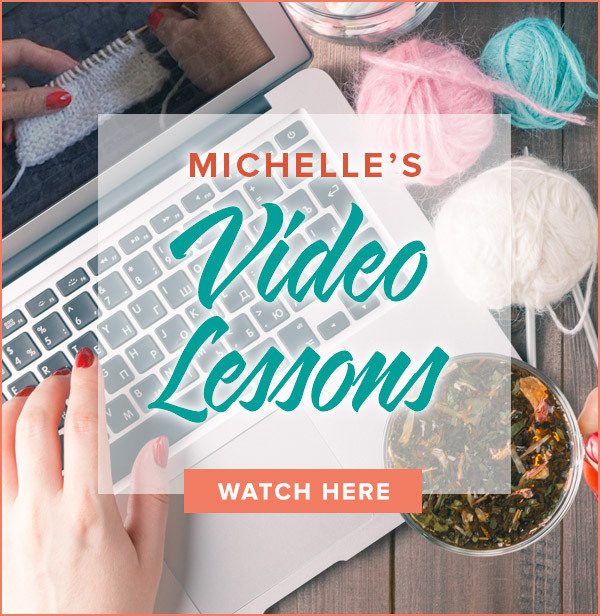 If so, you may be making a yarn over when executing the slipped stitch. Be sure to bring the working yarn between the needles to the back when slipping. 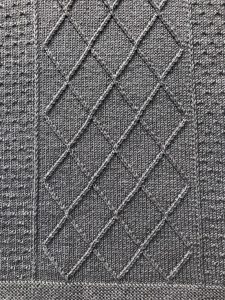 So excited about this KAL for oct. I just finished my 13 scarf with the Oh yarn. Sueno was the original HiKoo yarn and it is a DK weight. It was so popular that they added Sueno Worsted to the line. I’m sorry that the monikers are confusing! I hope you have the correct yarn coming your way. There is Sueno which is a DK weight and then Sueno Worsted which is of course worsted. Sueno, which the pattern calls for, has 255 yards. I have been excited about this project sense August. 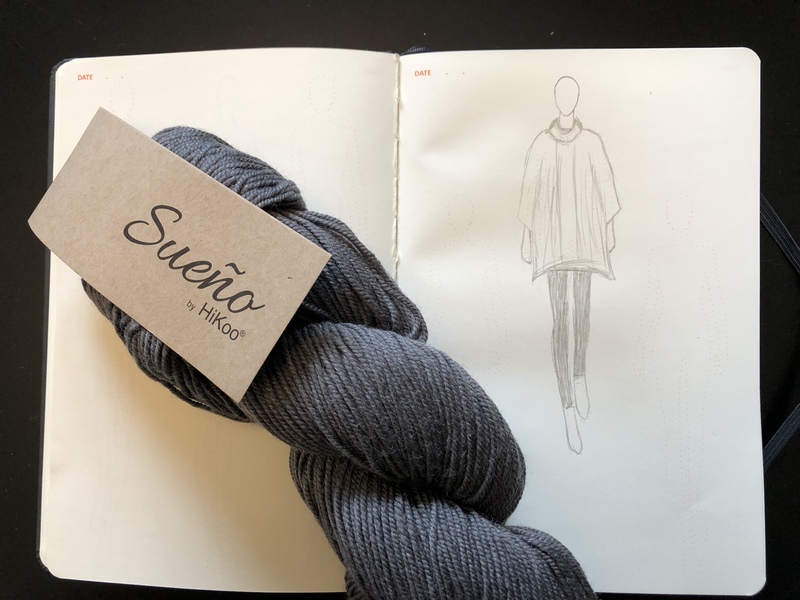 I got online and ordered my Sueno HiKoo yarn and have been patiently waiting. I feel lucky that I only wound 1 skein because there are different size weights for Sueno HiKoo yarn. The worsted yarn states 6-9 needles. Not sure what the tag on the DK says sense mine won’t arrive until next week. I wish DK would have been clearly stated on the pattern. Her Sueno says it has 182 yards per skein- can you clarify yardage needed- some website list sueno as 255 yards and others list yardage as 182 ? It is a mystery knit along and I add photos as each “clue” is released. I posted a photo of the first side of the poncho today. Scroll down and you will see my sketch of the finished garment to give you a good idea of the final outcome. Do you have a picture of the finished garment to post? This is my first KAL so I just assumed that I would see what it looks like before I started.